My personal favorite. This workout can help you to lose a lot of chest fat because not only it’s is intensive as a cardiovascular workout it also incorporates your entire upper body in the motion and so also stimulates the muscles along with the fat burning. This is probably the best home cardio workout. In just 5 minutes you can burn a ton of calories and get rid of a lot of chest fat. 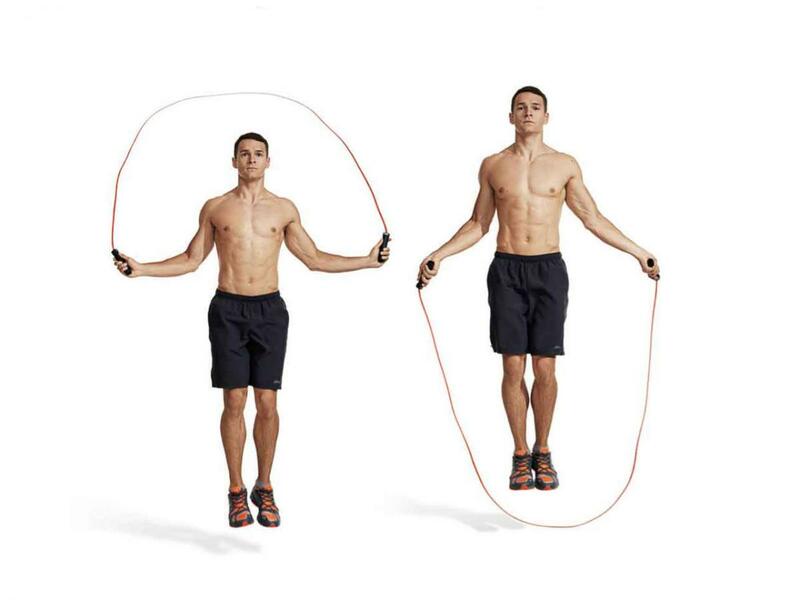 Jumping rope also works the upper body and legs which gives you a full body workout. While rowing really works the back muscles and not the chest, it is a high intensity cardio workout and so can help in the fat burning process. I love rowing myself. Put on a lot of resistance to increase the calorie burn rate. Don’t do this if you’re afraid of heights. If you don’t, this is an excellent workout which will also give you a killer upper body. The upper body stimulation will help you to tone your chest. Because it’s so intensive, it provides a cardiovascular stimulation even though it’s not a traditional cardio workout. Even though this is a slow pace workout, walking can still burn a lot of body fat. Try walking at an incline with dumbbells or hand weights. This will increase the fat burning process.